Canada welcomed a record-breaking 20.8 million tourists in 2017, the highest ever in Canadian history. The preliminary data, released this week by Statistics Canada, shows that Canada has surpassed the previous record set in 2002, by almost a million. This record breaking year is due to a number of contributing factors, including Destination Canada’s innovative marketing campaigns in key international markets. 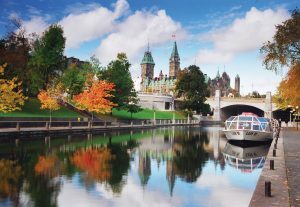 The Government of Canada has implemented visa changes for priority markets by introducing the eTA and opening seven new visa application centres in China, Canada’s third largest source market. New flight routes and increased service to Canadian airports have flight capacity soaring by 7% over 2016 to the highest level ever. It’s now easier than ever before for tourists to explore Canada.